Go visit Kalbario Patapat National Park if you want to get off the beaten track and perhaps go on an extreme mountain bike adventure in Adams by travelling the Pansian-Adams-Pasaleng route. There is nothing like getting yourself off the beaten track and going somewhere different and this is just that. You get to enjoy nature and absolutely beautiful scenery such as the Baset Hanging Bridge, the crystal clear Bulo River, the very rustic Sitio Sinidangan, the Kiwat Falls, and then for good measure survive the adrenalin rush of the downhill ride along the slippery rocks of the Badjang Trail. The park was established in 2007 and covers around 36 sq km and is just wonderful place to visit. The park is situated within the Barangays of Pansian, Pasaleng and Balaoi, in the Municipality of Pagudpud and Sitio Maligligay, Barangay Adams, Municipality of Adams, Ilocos Norte. The Kalbario-Patapat National Park is located on Pasaleng Bay, about 72 km north-west of Laoag City and 185 km west of Aparri. It is accessible to all types of vehicles along the winding concreted national highway of Ilocos Norte. The nearest towns are Adams and Pagudpud and staying at Tartaruga's is a good option before and after your journey. 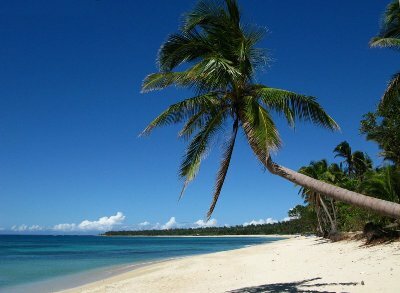 You can also choose to stay at the many resorts, homestays and so on in Pagudpud and Saud Beach. The rainfall yearly average is 2067 cm (82 inches or just under 7 feet!) The wet season really is very wet.